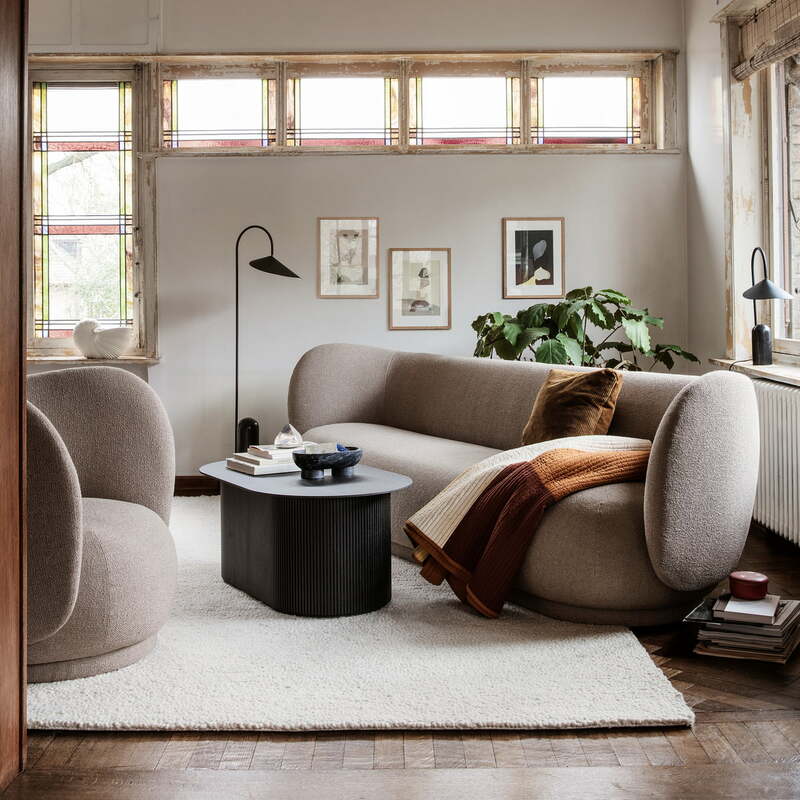 The Rico sofa from ferm Living is characterised by its luxurious upholstery, which invites you to relax. Its slightly curved backrest, which merges smoothly into the armrests, seems to gently enclose the user and provides a cosy expression. This is additionally reinforced by the deep-drawn seat. The sofa has no legs at all and instead has voluminous upholstery all the way to the floor. The Rico sofa is ideal for use in the living room at home and can be wonderfully combined with the matching Rico Lounge armchair . The result is a cosy seating area with a modern touch thanks to its defined, almost graphic lines. Comfort and aesthetics are harmoniously combined and create a stylish sofa that integrates perfectly into any ambience. 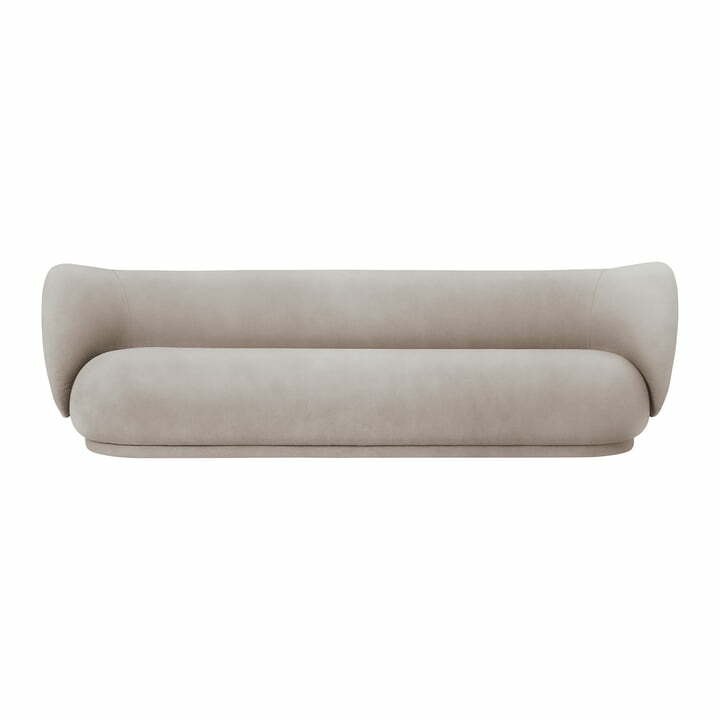 Rico 3-seater sofa in Bouclé sand by ferm Living in single view. The Rico sofa is characterised by its luxurious upholstery, which invites you to relax. Its slightly curved backrest, which flows smoothly into the armrests, seems to gently enclose the user. Rico 3-seater sofa and Rico armchair in Bouclé sand from ferm Living in the ambience view. The armchair and sofa together create a harmonious ensemble and stylishly enhance the living room.